What would WordPress.com look like if we were to start building it today? Switched to a completely GitHub-based workflow. Every commit is now peer-reviewed. Shifted to a very component-minded architecture. Moved our WordPress codebase to be entirely API-driven. New features are now only launched as a new/modified API endpoint + data layer + UI layer. Change in thinking from being very “plugin-oriented” (similar to WP-core) to a much more integrated and cohesive way of thinking of things across the web and mobile apps. 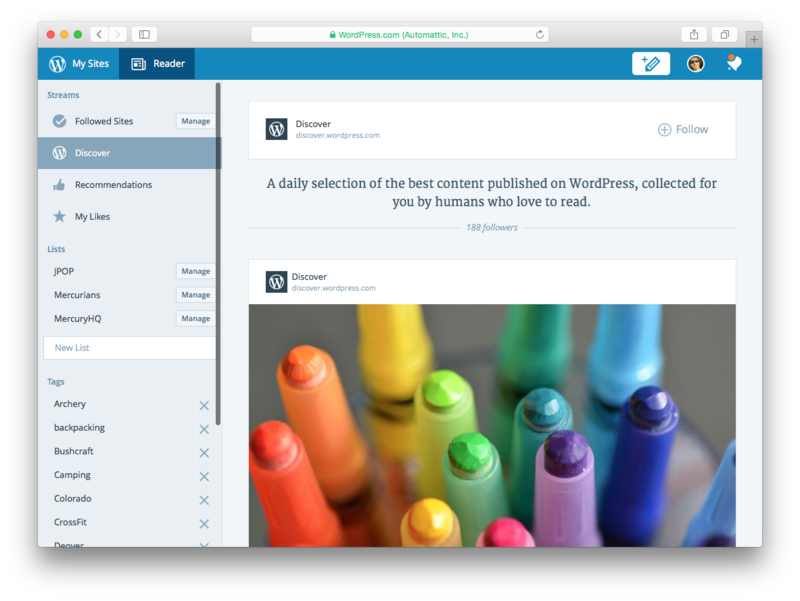 So today, in keeping with the DNA of Automattic, which shares the DNA of WordPress, we’re releasing what we’ve been working on as open source. It’s code-named “Calypso” (long story), and we’re extremely proud of what we’ve built over the last ~18 months. I truly hope that this can help guide or influence WordPress.org‘s future. I wrote this post in the Calypso/WordPress.com Desktop app, and published it via Jetpack. That feels pretty darned good. Did you know that localStorage fires an event? More specifically, it fires an event whenever an item is added, modified, or removed in another browsing context. Cloud-based web scraping via dynamically injected JS on the remote URL. ustomizable date (and time) picker. Opt-in UI, no jQuery! Easily reveal elements as they enter the viewport.